I've had this scenario happen so many times where a friend or colleague wants to play Maplestory but they're stuck in "dead servers"
Why not bring back server transfers in the cash shop? "There's no update available as to when the event will return"
My friends and colleagues don't wanna wait around on their super low population dead servers for the unforeseeable future. Please bring back server transfers in the cash shop. 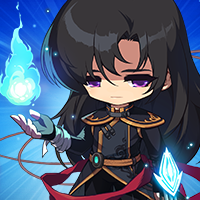 How does everyone feel about server transfer tickets in the cash shop? 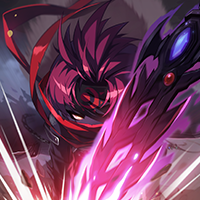 While it may not be the solution for the current issue with worlds and population, what are your thoughts of this option existing in MapleStory? Would like to hear more thoughts! This, but transfer coupons are a good step. I think transfer tickets do have a place in the cash shop. They're a standard in other MMO's, and allow returning players to join their friends without starting from scratch if they missed the great Bera migration. Are they a permanent solution to the server population issues? No, but they're a feature which I think should already be in the cash shop anyway, and can serve as a band-aid to the larger issues. I agree with adding transfer tickets if the transfer is instantaneous via an NPC like it was during the transfer event. The problem with old transfer tickets was that the transfer would only take place during weekly maintenance and sometimes cause extensions. Not sure what I think about pricing. On one hand people will obviously want to transfer all their legion characters as well without breaking the bank, but it also shouldn't be too easy to transfer mules around for market reasons. Level and NX type restrictions should be in place. People might be desperate enough to just transfer their main to a more populated world and re-do legion at this point though. Depends mostly on price point and any restrictions imposed. If you can spitball both of those figures, then more people will be able to tell you how they'd feel about it. I still feel opening up another world leap event with zero restrictions in both destination and characters transferred and letting it run for a couple of weeks and allowing the cards to fall where they may would do some good. 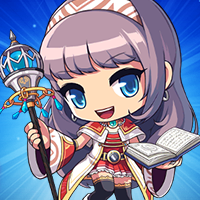 I'm sure nexon's goal is to disperse people across all the worlds more evenly, while I and likely many others want to consolidate players to as few worlds as possible, while also taking into account that some might enjoy a quieter server. Arwoo, the situation is similar to a flood and you allowing us onto boats for a fee. Are you guys trying to capitalize on those who are in an empty world? Last time we were able to escape with our whole family for free. I understand you guys need to do holiday shopping too . Please consider other alternatives that doesn't require restarting things like Monster Collection or deleting existing characters such as condensing existing alliances with other alliances or underpopulated worlds. We just need mega servers. Only if Bera is blocked off this time. Bera has enough server lag as it is, and it makes 0 sense for servers like Windia to be blocked when there's barely anyone left there. I still think a merge/alliance of the dead servers is our best option at this point. i agree 100%, this is not a crazy idea, its actually very logical, profitable, and smart. 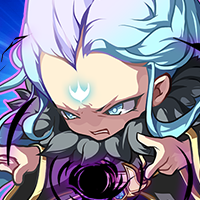 Very happy players, i also missed the world leap and had to start over in bera, i think it is very smart of Nexon to add world transfer at least for a short period of time so the others that missed can catch back up. very good idea. I love this idea and would love to see this addition be implemented in the cash shop! Will you be able to provide more details in the near future on things such as: price, conditions, which items transfer with the character (cs items), etc.. I do not believe this to be a smart idea. Even with restrictions the same thing will happen. People will just push their way into one server. If its just for one character that's a lot of money to sink into transferring links and legion. I personally think merging all worlds, minus Reboot and Bera, would be best. Server alliance the best option me thinks. It would thin down what would be a flood of players trying to move into Bera (if it were assumed to be a possible server to move to), however that just seems like another way to get a quick buck to me like it has been with the Name Change coupons being re-added (although I actually buy these because it's hard for me to choose a main at this point). Bera is already starting to flood again now that the Kanna Bots came back a few days ago and this was despite adding around 8 new channels. 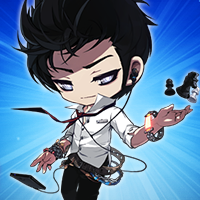 If it were possible to turn back time I would have suggested that we just do a home server rollback and send everyone back to where they were and do more server merges, however we all know that's not possible with how big of a hole Nexon dug with world leaps. 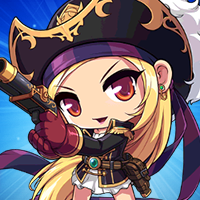 If we did another world leap, you could try tempting players in high populated servers to move elsewhere with a maple point compensation based on how many current characters they have in the server they leaped from as a way to encourage veterans to start over with their legion ranks and prevent leaps into Bera Windia, or Scania after a certain peak playerbase milestone has been reached for each of those servers and unlock them again if the peak playerbase has dropped from people "leaping" out of said worlds. I'll exaggerate a bit, but I would be willing to move servers on the conditions that I had either a character slot open for each character I left behind in my other server, plus a level 220 character card for every level 220+ character I had, 2 150 character cards for every 5 characters I had over level 200, 2 level 100 character card I had per every 5 characters I had over level 150, and 2 level 50 character cards I had for every 5 characters I had over level 100. 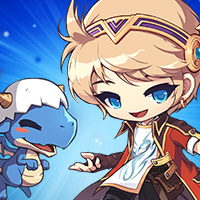 OR just offer a server swap where we traded all characters within the server with whatever characters (if any) we had in the server we swapped to with a 20k maple point compensation if we were moving out of Bera, Windia, or Scania . I also would only do this if my major in-game friends were also planning to move with me. 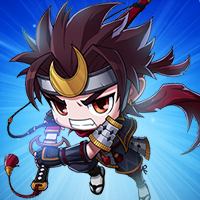 With the way maplestory incentivizes having 40 characters for legion, if there are transfer coupons they should really be able to do all the characters in the world. I double many people would want to spend 5k NX per mule. Or relevel 30 mules. Or get character slots 30 more times. The current state of the game tells us to stay put in the world we put all our time in. But all the worlds have dropped so heavily. 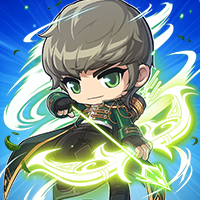 A merge is really the best thing to do and the team at Nexon has the only real visibility to see what makes sense from a sheer number of players point of view. More than half, all but bera are dead. Scania is doing like decent.. Then you have khroa windia and those two other clusters that are ghost towns. 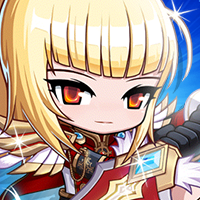 I just hope Nexon doesn't sugar coat how bad this issue is by doing another server transfer event, or only merging in pairs or something.. Thank you for all the feedback guys! Even though this thread is relatively small, its regarding a HUGE issue. 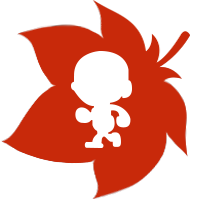 Hopefully action will be taken and our Maple world will feel more alive for all Old and Newer players to enjoy! 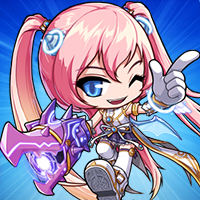 If possible please have your friends and guild members or community members leave some feedback on this thread so that more consideration will be taken into a feasible solution! I don't post on here very much, but please bring that back. I know it's not a fix to the dead servers, but allowing some fluidity between them might be nice. Just block off more movement to Bera, and I think it's a simple & short term fix. Short term fix that takes over a year to implement? That sort of half-baked decision would make them feel content with not addressing the problem for another year or so.. unfathomable it's taken this long without them getting it right yet, population problem has been a issue for years and server xfer events miss many people (people sentimental about their server, people unaware of the event/on a break from the game, people with guilds in their server, people locked from transferring to the server they want, etc). Yet they keep trying this solution.. Isn't that the definition of insanity? Doing the same thing over again and expecting a different result? 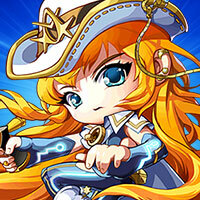 Server transfer events are not the answer Nexon, you simply don't have the fanbase for 6 non reboot servers anymore, is it that hard of a pill to swallow?